Hi, I am 24 year old from USA but I have been visiting to India from my childhood. Today I'm in India and I am posting this comment from one of the place, where you can get good help in reducing your sugar level. I have been diabetic since I was 16 year old and my dad is also diabetic. So it was considered as family with diabetes. At the age of 17 I started injecting 8 unit Novo mix insulin 3 times a day and Lantus insulin 16 units in night time. As days turned into months and months turned into years, my insulin volume increased. when I was 21 year old I was injecting 14unit Novo twice a day and 26unit lantus in night. Doctors asked me to control my eating habit and also to start exercise. But its not east for me to daily, Even after doing brisk walk of 50 min and 1 hour of aerobic excercise it only helped me to reduce 60 points. As I was in mid of 22 years , I had noticed that my sugar level was rising high even after giving full restriction on my diet. what ever food was consumed by me ,it spiked my sugar to 550+ . Even our Family doctor was little worried with my health. So he had suggested me to stay with his family for 1 week, so that he can monitor my eating habits. After 4 days of keeping eye on me in his house , my doctor was convinced that something was wrong with my immune system. Soon he asked my Dad to meet one Indian senior Doctor. Well Senior Doctor was also no helpful to me. He only suggested me to increase volume of insulin. So i had started injecting 38unit lantus in night and I was injecting 18 unit novo mix twice + 3tablets + herbal 4 capsules. MY mom was worried about my future so she invited one of her old Indian friend on Christmas with other family friends. She discussed my matter with her and she suggested to meet two Indian guys with name Arjun Baba & Manilal. due to reach India in Delhi. In 2009 when I was 22 year old, I happen to meet Arjun Baba and one other guy with name SB. Well after meeting them we didn't even wanted to start treatment from such people.so we returned back home after staying for 10 days. Last year while I was browsing through home remedies for diabetes, I was extremely shocked and surprise to see the name SB GROUP. I read lot of comments from different people in USA, who taking important tips from SB Group. As I discussed about SB group with my other diabetic friend, I had got another shock of my life , he was already on SB group medication. So without wasting my time I started hunting for SB GROUP mailing address. Today it has been 1O months I am on SB group medication and yes I will agree to my mistake done earlier. Today I'm injecting Novo Mix insulin only 8 unit 2 times and lantus 18 units in night and still my sugar level remains between 150 to 260. As Myself and my Dad are on small visit here in India so SB gave us invitation to stay with them so that he can study my immune system and make future medication. 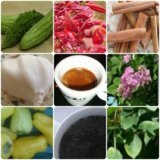 I have seen good improvement in my health and SB has himself made medication in front of me from fresh bitter gourd, fennugreek seed, turmeric powder, and drum stick and some black seeds which I don't know what they are. Today for 1st time in my last 3 years I saw my fasting score 102 and later after lunch it was 156. SB says In next 2 months I will be on only 4 unit novo and 16unit lantus. I have already stopped my Tablets. I think herbal medicine give good impact on human organs and each diabetic person should start consuming herbal medication. If needed consult SB GROUP , they are really good. I am posting my comment from SB GROUP main place. Comments for Ways to reduce sugar level naturally. how to lower insulin doses? i am very happy to hear you have made a progress in diabetes and became a living proof that everything can be changed in positive way. I got interested in your story because I have the same problem as you - my insulin doses slowly becomes higher and higher and I would be very grateful if you send me or say here openly what to do to lower the doses? how to reduce doses of insulin? I am not really sure if my first post has been submitted, but I repeat my little story again. Secondly, I have the same problem as you - my doses of insulin is becoming higher as years go onwards. Now I am 23, having having type I diabetes for three years and consume about 60 units of insulin per day (novorapid + levemir). So can you tell me how to change such situation?